I’ve been using the website since 2010ish and it’s so nice to see an app for it now! Seriously such a supplement to my sleep time! Thanks guys! Need to add a tin roof option though. Natural sounds. With several categories. These can then then be modified individually to taste. Uses very little battery and I run it throughout the night. This app is totally worth the small price you have to pay to download. It runs in the background so you can leave it and look at other apps while listening to the soothing sounds of rain (as well as customize how the rain sounds in several different ways). If you’re like me and suffer from anxiety, this is an incredibly relaxing background noise to listen to when you’re feeling stressed out. 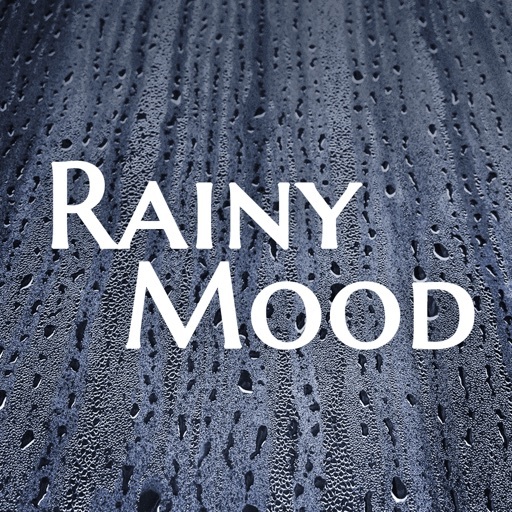 I recommend this app to anyone who loves to listen to rain and loves to relax. Being a record producer has my ears plagued by Tinnitus. This App has been invaluable at helping mask the constant noise during night’s quiet times. Would like to hear more types of rainfall..but just rain...no added sounds needed...however the turn on/off feature for thunder etc is great..
Rainy mood relaxes my mind and focuses me to sleep. The sound even keeps me in a deeper sleep throughout the night with little to no interruption. Sometimes it’s so nice I don’t wanna get out of bed. Realistic sounding enough to put me in that rainy cosy kind of mood. The sound does not turn off when your Bluetooth headphones turn off or goes out of range, but instead plays from your device full volume. The app also does not rotate to landscape design, only portrait mode.